Heidi Ellert-McDermott of Speechy, who help craft bespoke (and brilliant) wedding speeches, is here today to encourage you to think outside the box for the words that will be said at your wedding. 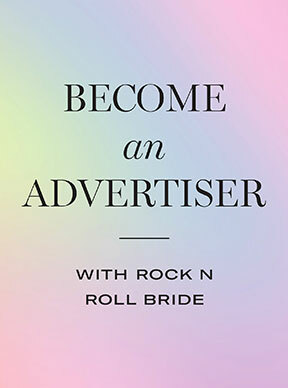 Too many brides are missing the Rock n Roll potential of their wedding speeches. It’s not about etiquette books, a long list of thank yous or ‘his job’ anymore, it’s about dropping a lovebomb on the party and kick-starting your marriage with a bang. As a ballsy bride you might be thinking traditional speeches aren’t for you and you’re right, traditional ones don’t have to be. So burn the etiquette books, kill off those cut-and-paste templates, run a mile at a pun and you’re half way there. This is your opportunity to welcome your guests, make them feel loved and get them in the mood to party. It’s also an once-in-a-lifetime chance to shout about what a sublime example of gorgeousness you’ve married without being considered a little bit smug. Promise, the words are your wedding can be just as cool as anything you find on Pinterest or Etsy – only cheaper, unique and a whole lot more memorable. Here’s some of our favourite ideas of doing speeches a bit differently. Controversial we know. Even in 2017 the vast majority of brides want to sit back, sip the Champers and let the boys do the speeches. Fair enough, you deserve a break and maybe your partner is more comfortable speaking in front of an audience. But have a think about it. Are you cool having someone ‘speak on behalf of you’ when you’re not drunk and they’re not helping you into a taxi? Wouldn’t your friends and family love to hear from you on the day? And wouldn’t you actually enjoy being really bloody nice about the person who’s just married you? Of the hundreds of women we met at a wedding show recently only a handful said they were planning on giving a speech. We’re still not sure why us girls go mute when it comes to getting married, but this isn’t really about feminism; it’s about doing something different, feeling like a rockstar and increasing your level of coolness by a zillion. Whether it’s you or your partner, the speech will stand out if it doesn’t sound like a speech. Don’t get tied down by all the usual ‘to dos’ and make sure it doesn’t become a roll call of thank yous. Instead, tell a story. Tell everyone in the room why you two decided to tolerate each other’s quirks and individual madness for the rest of your lives. Remind people why no other nutter would do. Get creative. 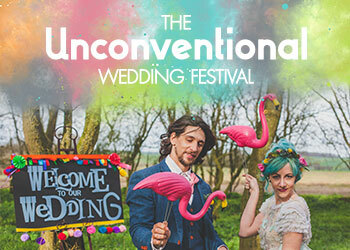 If you’re planning a festival style wedding then maybe chronicle your relationship through your shared love of music and the debates you’ve had over the vinyl collection. If you’re both bookworms compare yourselves to your favourite literary characters and their qualities; Holden Caulfield’s innocence, Patrick Bateman’s humour?! Something else a bit different; a joint Mr & Mrs Speech. Delivering a speech together shows you’re an equal partnership; one that can quickly establish a comedy double act and get the guests laughing. It’s also a lot of fun. Admittedly the politics of speeches can get a bit tiresome. Dad versus step dad, best woman versus best man, your funny mate versus your old friend from school. One way to avoid this is to have ‘spontaneous speeches’. The idea is stolen from the continent where it’s not unusual for everyone to propose a toast to the newlyweds. Basically there are no formal speeches but invites encourage guests to ‘feel free to call for silence and say something (nice!) or read a verse, or just say Hooray or raise a toast’ throughout the wedding meal (usually between courses). This totally works for boho weddings because it’s casual, cool and generally gets more fun the more wine has been consumed. Gone are the days when we need to toast the ‘health and happiness of the happy couple’ with a glass of Champagne. Toasts should reflect you as a couple whether that’s a shot of tequila, a glug of bourbon or a sip of Indian chai. Be inventive but equally don’t be insulted in Nan rejects the Jack Daniels option. Also forget the tired clichés and make sure you toast something that’s meaningful to you. Perhaps ‘decades of dancing on tables and inspiring each other’s tattoos’. There’s absolutely no need to follow the traditional father of the bride, groom, best man line up these days. Mothers of the bride and best women are obviously making their presence felt but you may want to think more inventively. Young children always have comedic things to say about love and it’s great if you happen to have an elderly relative to add some suitably cynical advice. Contributions needn’t be long, in fact better if they’re not. Quirky and cute is what we’re after. Avoid the ‘speech clump’ and get clever about how you schedule your speeches. 45 minutes of speeches can leave even your besties checking their newsfeeds under the table. Think about dotting the speeches about. Schedule one between each course of the wedding meal so everyone can enjoy the interjection and they don’t tire of the stand-up, sit-down palaver of three toasts in quick succession. So many people ruin the speeches by not enjoying them and delivering them like a business presentation. Powerpoint is a no-no. Smiling, messing up your lines & laughing are all big yeses. We’re not suggesting you need to turn your speech into a comedy rap or attempt to go ‘viral’ with it. In fact we’re definitely not suggesting that. 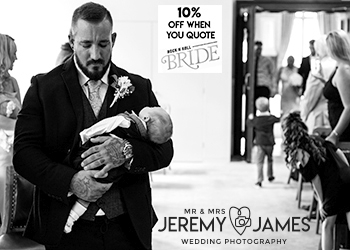 All we’re saying is the speeches are a chance to create a cracking memory so make sure you put some thought into it and relish them on the day. This article originally appeared in Rock n Roll Bride magazine, issue 9. Back orders are available to order via our online shop and the current issue, issue 15, is on general sale now! Totally agree with this! There is a weird gender gap thing still going on in weddings. I feel a little bit weird about the whole “giving a bride away” thing too. We are not objects. We are partners and equals therefore why should the man speak for us? And actually, the speeches are always the thing that people dread at a stuffy traditional wedding, so why not make it fun, personal, engaging and spontaneous. People are there to have fun, not be bored out of their minds!